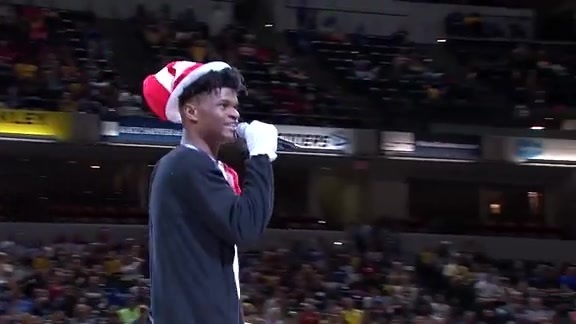 Sept. 30, 2018 - Pacers second-round pick Alize Johnson brought down the house with his performance of a Lady Gaga hit while wearing a Cat in the Hat outfit at FanJam presented by CNO Financial Group. Sept. 30, 2018 - Pacers guard Victor Oladipo defeated three teammates to win the 3-Point Contest at 2018 Pacers FanJam presented by CNO Financial Group. 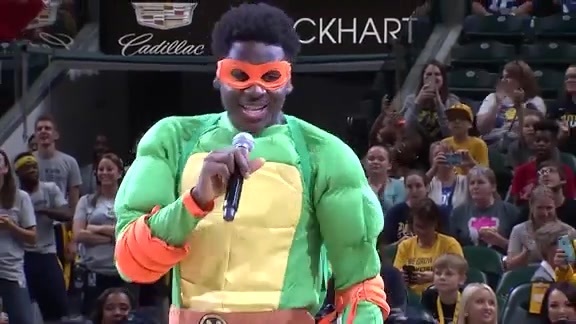 Sept. 30, 2018 - Pacers first-round pick Aaron Holiday belted out some Backstreet Boys and rocked a Teenage Mutant Ninja Turtle costume for his Rookie Show performance at Pacers FanJam presented by CNO Financial Group. 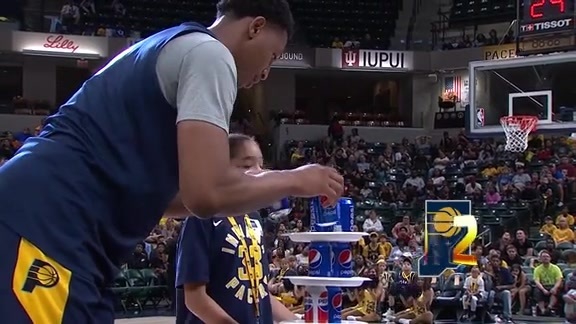 Sept. 30, 2018 - Pacers second-year center Ike Anigbogu and rookie forward Alize Johnson teamed up with fans and went head-to-head in a game of "Minute to Win It" at the 2018 Pacers FanJam presented by CNO Financial Group. 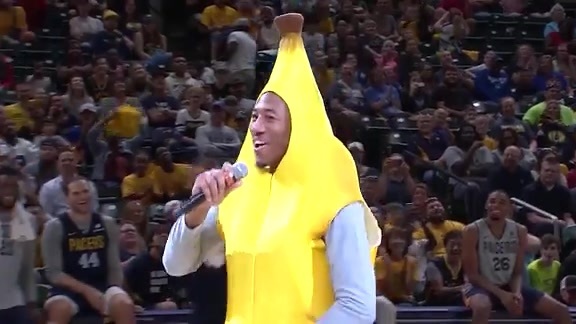 September 30, 2018 - Rookie Elijah Stewart covered Taylor Swift's "Blank Space" while he was dressed as a banana during Sunday's FanJam. 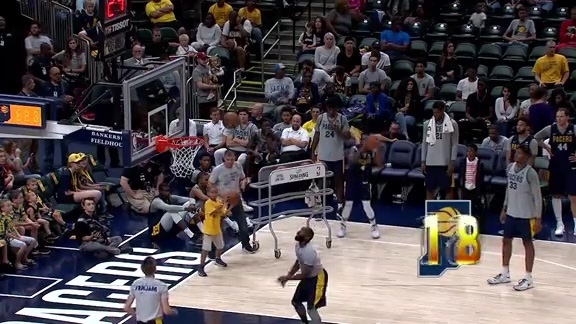 The Pacers held the highly popular FanJam presented by CNO Financial Group on Sunday, a free, open-to-the-public event to celebrate the start of the new season. The sold-out event included activities on the court and on the concourse in the first hour and a half. 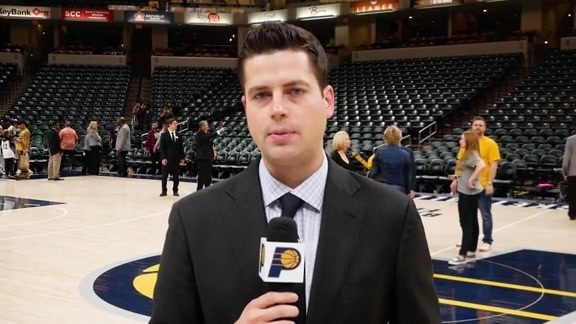 The next hour was for on-court activities, featuring a scrimmage and games with your 2018-19 Indiana Pacers, a performance by the 2018-19 Indiana Pacemates, and the ever-popular Rookie Show. For the final hour, fans were able to get their picture taken with members of the 2018 Pacers. You can watch select highlights from FanJam in the video player above. You can rewatch watch the entire hour of on-court activities in the video player below.